The events in Conversations with Spirits take place in the second week of December 1917 – so, I guess, this is the centenary! Today, I have spent my lunch break feverishly trying to contact a man, who for a long time now, has been a great personal hero. That man is Chris Needham. If I've been quiet lately, it's simply because I've been appearing in Paul Holbrook's masterful supernatural murder mystery Domini Mortum. Over the last few decades, I have taken it upon myself to watch a lot of British horror films. Somewhat inevitably, you might think, this has led me to become a flighty, nervy sort of fellow - but, also, one that can make little sense of the modern world. "I wouldn't mind meeting the sober version of you!" E O Higgins commented on this blog post. 'Who wrote Shakespeare?' is for some a pointless tautology; for others, a question of serious literary enquiry. You'll remember that I've often spoken about my sincere love for you? You see, my book has been put forward for this award thingy - and, well, the closing date for it is this Friday. In the unlikely event that this news has managed to pass you by, it is 100 years since Britain joined the First World War. As the author of a novel set during the period, I thought this might be a good time to say something on the subject. "So, you're a contender for the Edinburgh First Book Award. How do you feel about that?" A rather charming review of Conversations with Spirits in The Huffington Post by Matthew Hirtes. Meet Trelawney Hart, 'arch-sceptic and former child prodigy'. The anti-hero of what you'll be surprised to learn is the author's debut, Conversations with Spirits, a mystery without a murder, where who dun it is less a question than how they did it. 10 Saint Valentine's Day trifles. Writing 100s of books – including historical novels, science fiction, plays, poetry and considerable non-fiction. In 1926, self-styled psychic researcher Harry Price (who features in the book) investigated a Romanian girl that had allegedly become ‘possessed by the Devil’. Since the story begins on the 14th December 1917, I will be picking a winner on the anniversary – this coming Saturday. But I shall be asking the question on Wednesday! Instead of a memory, I have this crib sheet. But it occurs to me that I may have actually forgotten to put things on the crib sheet. So it's not a perfect system. Well, welcome everyone to the launch – and thank you for coming. I was talking to my Mum on the phone about tonight, and she said, "Oh, it's a long time coming" – and I asked her what she meant. Can you guess all of the answers to my quiz? Be one of the first three people to enter correctly in the comments below and you could win a copy of Conversations with Spirits. 1. Which M. R. James story features a supernatural toy? 2. In which city is Jonathan Harker’s solicitor’s office located in in Bram Stoker’s Dracula? I challenge even the most stony-hearted fellow to gaze at Mark Ecob’s cover art for Conversations with Spirits - in all its shiny, golden loveliness - and not leer hungrily at it, like a cat staring out a window at a distant bird. 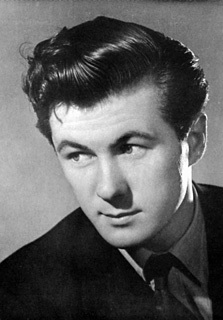 The amazing Bryan Forbes died yesterday. RIP. In 1964, Forbes wrote and directed Séance on a Wet Afternoon, based on the novel by Mark McShane. The film tells the story of an unstable psychic medium, who convinces her browbeaten husband to kidnap a child so she can help the police solve the crime. A year after Amanda Berry disappeared in Cleveland, her mother appeared on CBS’ The Montel Williams Show to speak to a psychic about what happened to her daughter. Sylvia Browne, who has made a career of televised psychic readings, told Louwanna Miller on a 2004 episode of the show that her daughter was dead, causing Miller to breakdown in tears on the show's set. Well, last night Conversations with Spirits hit its funding target! 1. I’m going to get massively drunk. I will, however, be popping back to the shed now and then when there’s exciting news to tell you -and, occasionally, just in order to treat the outer walls with creosote. You’ve wisely invested in a copy of Conversations with Spirits by E O Higgins - but have you given due consideration as to just how you’ll read it? May we suggest you invest in ‘Foot’s Adjustable Rest-Chair’? Or, if you’d prefer - and we do - “The Library Lounge” (Patented). It’s difficult for us to understand the hardships endured by soldiers serving in the trenches of the First World War. And this is obviously something to be thankful for. But is possible to get some insight into their lives from the letters they sent home. In 1917, Regimental Sergeant-Major James Milne was serving with the 4th Battalion, Gordon Highlanders. Transcript from The Daily Mirror, Saturday, June 15th 1929. An informal séance at the “haunted” Borley rectory as a preliminary to an orthodox one with a medium produced astonishing results. Transcript from The Daily Mirror, Friday, June 14, 1929. There can no longer be any doubt that Borley Rectory, near here, is the scene of some remarkable incidents. Submitted for your approval, another list of spurious ‘facts’ gleaned - without due care and attention - from the internet. This time, on the subject of ghosts. 1. Apparently a half-frozen chicken haunts the area of Pond Square in Highgate. Conversations with Spirits - 95 years ago this week. The action (such as it is) in Conversations with Spirits, takes place 95 years ago this week. The book begins with Trelawney’s journey from London to Broadstairs on Friday the 14th December 1917, and ends – when the mystery is finally unravelled – the following Sunday. It's time for a quick giveaway, you lucky, lucky people. The first person to correctly identify the man in the photograph below will win my well-thumbed copy of The World of Unknown GHOSTS (Usbourne 1977). This all-colour anthology will tell you everything you’ve ever wanted to know about ghosts, spectres, phantoms and, yes, even poltergeists. In the early-1900s, a few years before Conversations with Spirits is set, a German confectionary company released a series of postcards showing what the world of the future would be like. By the year 2000, man (and horse) will have conquered the oceans. This will be achieved through a process of water wheels, personal hot-air balloons and unusually-long shoes. Last week, I went on a thoroughly British holiday. Basically, in the pursuit of some ‘fresh air’, I spent a week in provincial England standing on a hillside being rained on.